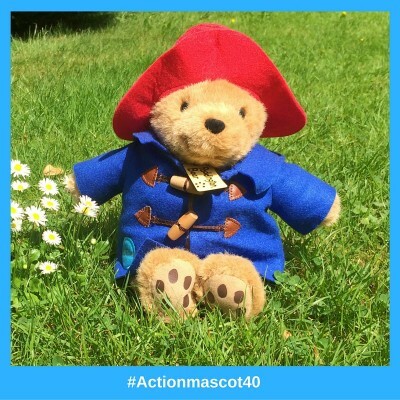 Earlier this year we launched a search for members of Paddington’s Make it Grow Club, which later became the Paddington Action Club, as we celebrate 40 years with our official mascot Paddington BearTM. 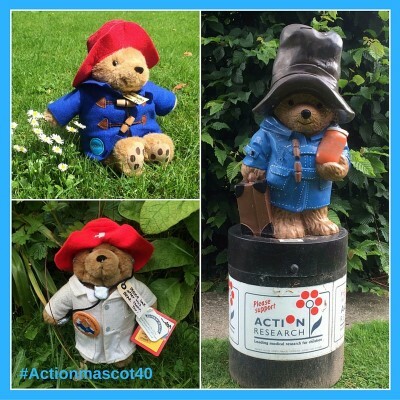 Paddington has been at the heart of fundraising for Action ever since his creator, Michael Bond, met our founder Duncan Guthrie back in 1976 and his friendly face has helped to attract thousands of new supporters who together have raised millions of pounds to help babies and children. 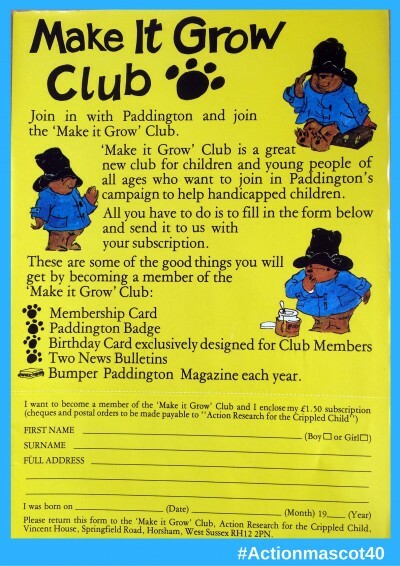 Shortly after becoming Action Medical Research’s official mascot, Paddington became the figurehead of Paddington's Make It Grow Club so we put out a call for anyone who was part of the society to get in touch. I used to belong to The Make It Grow Club back in 1976 and belonged for many years, I went to the special birthday party at Paddington Station on 6 November 1977. I got the autographs of a lot of famous people, for example, Michael Bond, Bonnie Langford, The Goodies, Ed Stewart, Frank Muir, Henry Cooper and Bernard Cribbins. I remember there was a big birthday cake, I guess it was for the club's birthday; I remember seeing an exhibiton of the history of the club. I also went on Radio Brighton with another girl and was interviewed about how I joined the Make It Grow Club, what the club was all about and the motif. This was a flower with a petal that had fallen off, and this fallen petal represented a child that was poorly and needed help through Action Research for the Crippled Child, as the charity was called then. I enjoyed getting the newsletters and reading them, I wish I had kept all the old newsletters but must have got rid of them when I left home 26 years ago. I am still a great Paddington Bear fan and I think that at the age of nine that was the main reason why I became a member! I still have my old Paddington in my bedroom that I got when I was 8 years old and I am now 49! My children were members in the 1980s which was helped run by my mother, Joyce Moore, who worked for you for many years. Nicola Taylor and Martin Taylor were involved a lot with the club; my daughter won a competition one time and went to London to a Paddington Bear party where Michael Bond attended. He autographed a birthday book for her which we still have. Everything in their bedrooms was to do with Paddington Bear and the newsletters were very exciting for them to read. My mother has sadly passed away now but she loved doing all the mailshots and work for you so it brought back many memories after seeing the picture in the local paper!